For professional runners, treadmill has some drawbacks that are associated with the lack of specialization when runners train for running contests. There is a general rule about preparing for running contests suggesting that your training environment should be similar to the actual environment you are preparing for. This means that the conditions should be the same. It is obvious that there are significant differences such as: lack of air resistance, lack of diversification of the territory, running on a moving belt. There are also bio-mechanical and psychological differences between running on the treadmill and running on the track or street. When running on the treadmill, it is obvious that you are not running through the air. When running outdoors the wind raises resistance. The quicker you run, the more you feel the air resistance over you. On the treadmill you can simulate air resistance, adjusting the slope by 1-2%. Apart from the problem of air resistance, there is evidence that the Bio-mechanics of running are different when you run on the treadmill. The more experienced runners tend to have more strides when on the treadmill than when in free running. For less experienced runners the opposite is true: the length of the stride tends to be lower. Some studies identified that some athletes run with less forward inclination of the body when they train on the treadmill. This can cause greater loss of energy to move up and down and less energy to move forward. The level and soft floor of the treadmill is an advantage in many respects, however it presents a significant disadvantage. When running outdoors the surface is mixed: stones, soft and hard surfaces, wet or dry points, and combinations of all these. Running on to these surfaces is a challenge which enhances the perception or the ability of the neuro-muscular system to recognize the impact of different types of soil in muscles, joints and other members of the body. This is very important for the runners because it affects the balance, strength and economy of running. 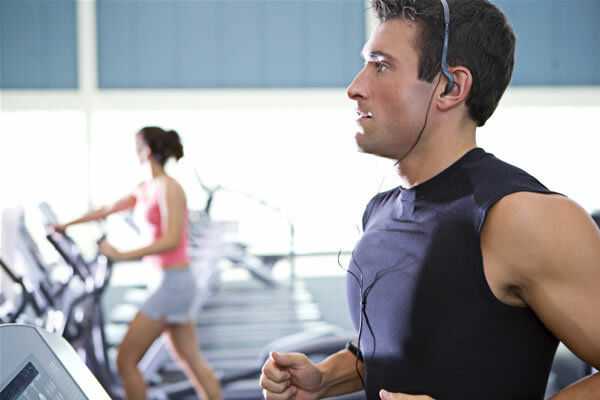 Running on the treadmill eliminates this very important aspect of training. Psychology plays a very important role in the performance of runners. On a treadmill you encounter several psychological factors that reduce the benefits of training. When running outdoors you move between trees, buildings, cars and other people. When you’re on the treadmill you are not actually moving so you do not have all this visual experience that gives you the feeling of running. A properly mounted treadmill provides you with sufficient space that allows you to do extended strides. However the limited physical size of the treadmill can give you the impression that either you will step out of the treadmill or that you will fall. This usually leads to smaller and / or more perpendicular strides. The claustrophobia is also a feeling you may have when running in close and restrained space. Very often runners that are used to running outdoors are not accustomed to the “artificial way of running”, as some call the treadmill. They do not feel confident that the treadmill can help them in their training. Running “on the spot” can be very boring and monotonous.